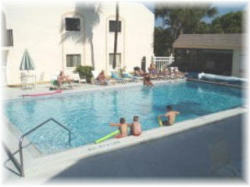 2BR/2BA Casa Bella Condo - minutes to Sanibel & Fort Myers Beach! Master Bedroom with KING-size Bed! This furnished and fully equipped 2-bedroom, 2-bath, second floor condo will be your "home away from home" that you will look forward to returning to year after year! The convenient and quiet location of the Casa Bella Condominiums is close to everything you come to the Gulf Coast of Southwest Florida to enjoy. Beautiful shelling beaches, world-class golf, great fishing, fine dining, outlet shopping, friendly neighbors, and plenty of warm sunshine are all just minutes from your doorstep. 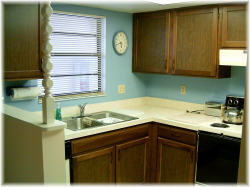 WEEKLY + MONTHLY + SEASONAL + LONG-TERM RENTALS AVAILABLE! * No Smoking and No Pets, please! 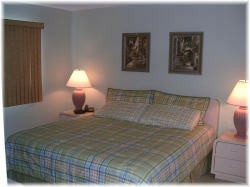 VISIT OUR WEBSITE AT http://www.casa-bella-condo.com FOR ADDITIONAL INFORMATION, LARGER PHOTOS, AND ONLINE BOOKING! A signed rental agreement and security deposit is required to reserve your dates. Please add 11% state and county taxes to all listed rates. We're looking forward to having you as our guests! We offer significant discounts for multi-week, monthly, seasonal, and long-term rentals. 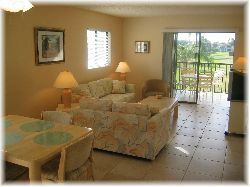 Please visit our website at http://www.casa-bella-condo.com for details.